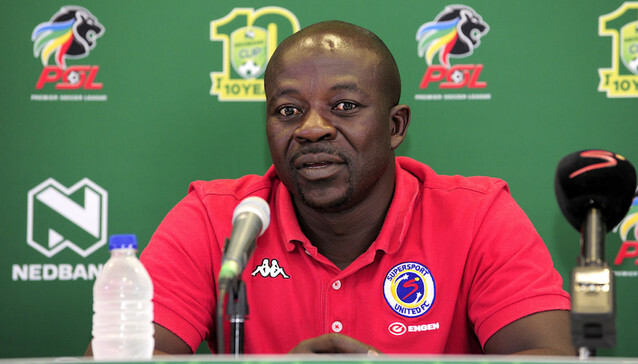 SuperSport United are not in any rush to appoint a new coach as Kaitano Tembo remains in charge of the team. Tembo took over on an interim basis after Eric Tinkler resigned in March and he has been overseeing the team’s pre-season preparation. Club chairman, Stan Matthews told Sowetan Live, a South African news website that they were still looking for a coach but are not under pressure to appoint one. “He is in charge at the moment, and that is the way it is staying for the time being. We have a few options locally and abroad,” Matthews said. “We have been open with Kaitano, and he has got the inside lane. And that is the way it will stay unless we bring someone from the outside. “It would have to be someone very special for us to bring someone in from the outside. “We are quite determined to bring some international element to the club, especially if Kaitano stays on as a coach,” he added. Matthews also said they want to give Tembo the platform they gave Mamelodi Sundowns coach Pitso Mosimane. “He and Pitso have very different personalities because no two people are alike. But what I see is desire, hunger and loyalty. “A genuineness to help the young players and to hold the senior players responsible. He is one of our own and has come through the ranks. Everyone at the club is motivated to help him to succeed,” commented Matthews.